Away from the avalanche of new products pouring out of CES comes some new rumors regarding the Galaxy S8. In addition to alleged production targets and a release date, we’ve now seen the first purported photograph of Samsung's upcoming handset. 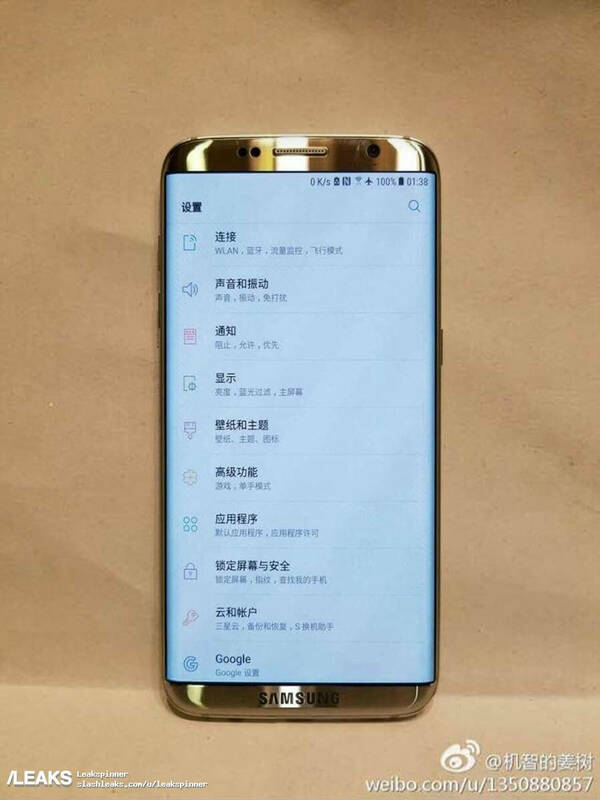 The image from Slashleaks matches the earlier S8 rumors: the physical home button has been removed in favor of a virtual version; it features a dual-edge curved display, and the bezels are noticeably smaller. As with previous renders, the Samsung name has been moved from the top of the phone to the bottom. As with so many leaked product images of this sort, its authenticity is questionable - the absence of the rumored 3D Touch-style software navigation keys really throws the integrity of the picture into doubt. More than likely this is a photoshopped S7 Edge, but it could still bear a close resemblance the real Galaxy S8. More reliable information comes from South Korea’s Electronic Times. The publication reports that Samsung has set an initial production target of 10 million S8 handsets. The company is doubtlessly banking on the smartphone selling well enough to help offset some of the $5.1 billion it lost through the Note 7 fiasco. The Electronic Times added that S8 is set to go into production in March and launch sometime in April, possibly the 15th. The S5 and S6 both arrived during this month, but last year’s S7 had a March release date. In other Samsung news, the company is expected to release the official report into what caused the Note 7 fires later this month. It’ll be interesting to see if the findings match those from Instrumental, whose engineers concluded that packing the battery too tightly inside the case was to blame.